Suki in her sunspot on her favorite window sill, a special bench built by "grandpa," watching the world and the path she took on her daily walks. 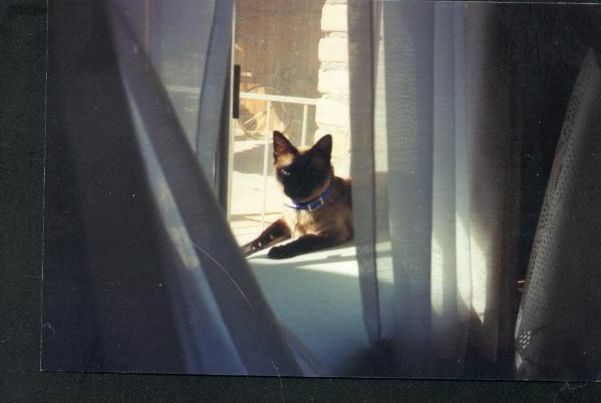 For years after her death, her "sister" Chloe would sit in the same window and look for Suki on her walking path. Suki's "E.T." pic. 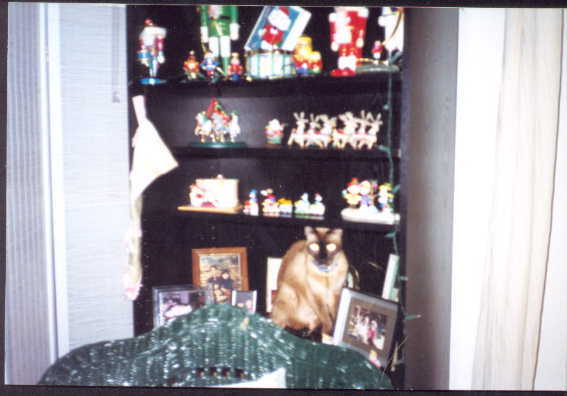 She thought no one could see her if she posed among the Christmas collection. 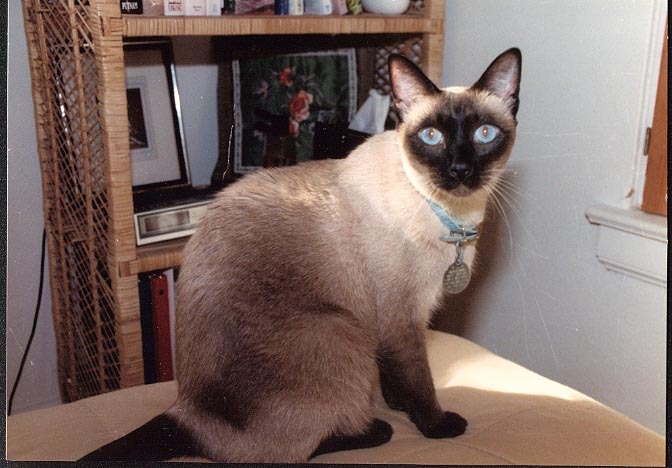 One of my favorites: Suki on the job. 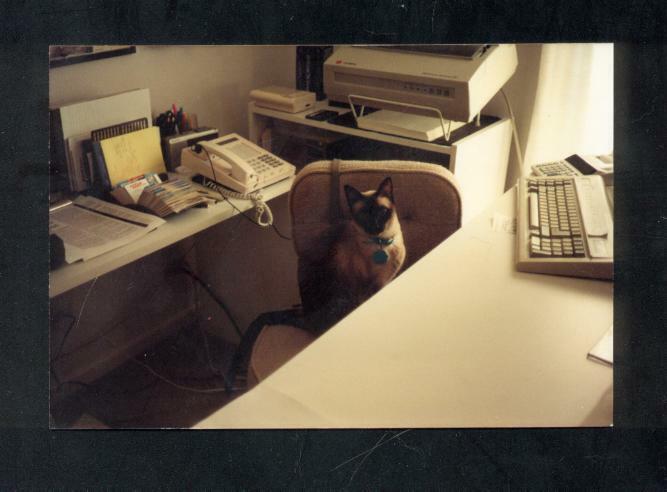 She spent endless hours with me in my office, my constant companion from the beginning of my writing career. I still run across notes with teeth marks in them, and I can still see her sleeping in my inbox. I miss her every day. 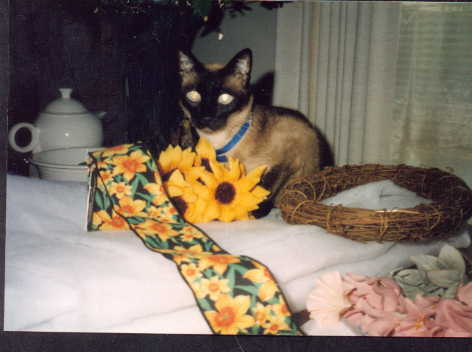 Suki "helping" me make a wreath with her favorite - the sunflower. Suki's Tree. Christmas was her favorite time of year. 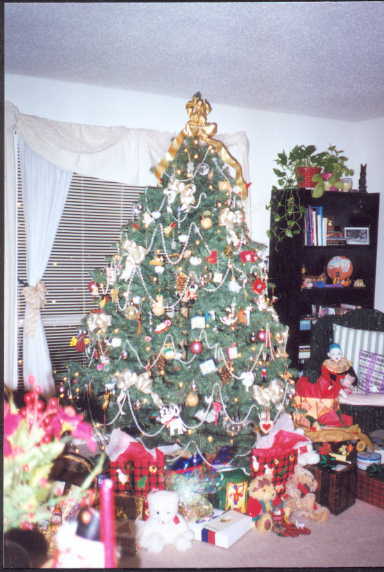 She had her own condo that "grandpa" built and "grandma" made curtains for, with its own tiny tree and cat ornaments. She liked her big tree better, however. It has not been displayed since her death. © Copyright Julie Catalano. All original photos and text are protected by copyright. None can be copied or distributed without written permission.